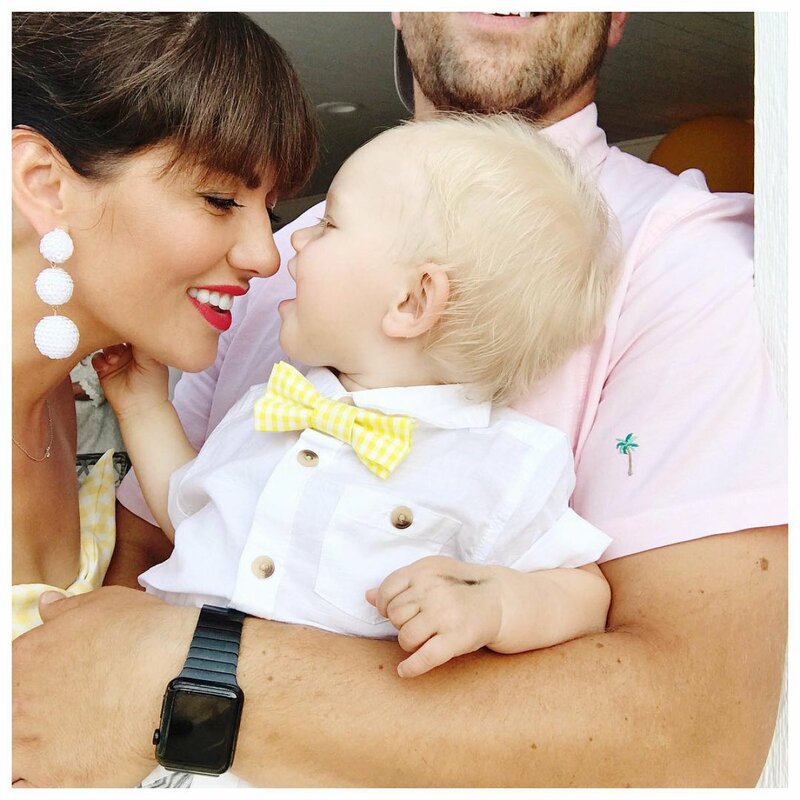 Jillian Harris celebrated her son's first birthday over the weekend. The 37-year-old "The Bachelorette" Season 5 star shared a series of photos from son Leo George's circus-themed birthday party Saturday, including a picture of her little boy peeking over the side of his crib. "One Year With Leo ... I've slowed down more than I thought was possible, slept less than I thought was possible and LOVED MORE than I thought was possible," she captioned the snapshot. "Happy Birthday. We love you sweetheart, my little chicken. #OneYearWithLeo." Harris, who shares Leo with boyfriend Justin Pasutto, decorated her home with colorful balloons and pinwheel fans. Guests enjoyed a number of circus-themed treats, including boxes of pink candy popcorn. "My heart is just about ready to EXPLODE," Harris wrote the next day. "Yesterday, I couldn't stop crying. Our home was filled with SO much love, from family, friends, new family, new friends. I can't even begin to explain the magic that happened, seeing families come together, this special day coming together, it was more special than I could have ever imagined." "Thank you thank you to everyone who came, who loved and sang and laughed and drank," she added. "Oh and of course my babe @justinpasutto for being totally on board with my obsession with party planning and helping me take it over the top this time... Thank you. I can't say it enough. #OneYearWithLeo." Harris and Pasutto welcomed Leo in August 2016 before getting engaged in December. The television personality opened up about her life as a working mom in an interview with People in April. "I think that everybody gets mom guilt, and as females out there, I'm sure we're all so hard on ourselves," Harris, who stars on "Love It or List It Vancouver," said. "I feel like one of the things I always worried about is what kind of energy would I have around him," she explained. "I know that he senses that energy and I think, for the most part, if I've ever had a bad day or frustrating day or if I'm sad, I feel like I've been strong for him so far." Khloe Kardashian kisses Tristan Thompson in new photo: "All my love"